Webcon replacement carburettor kit to suit the Opel Corsa and Vauxhall Nova 1.4 (1389cc) models with manual transmission manufactured between 1989 and 1991 to replace the Pierburg 2E3 . 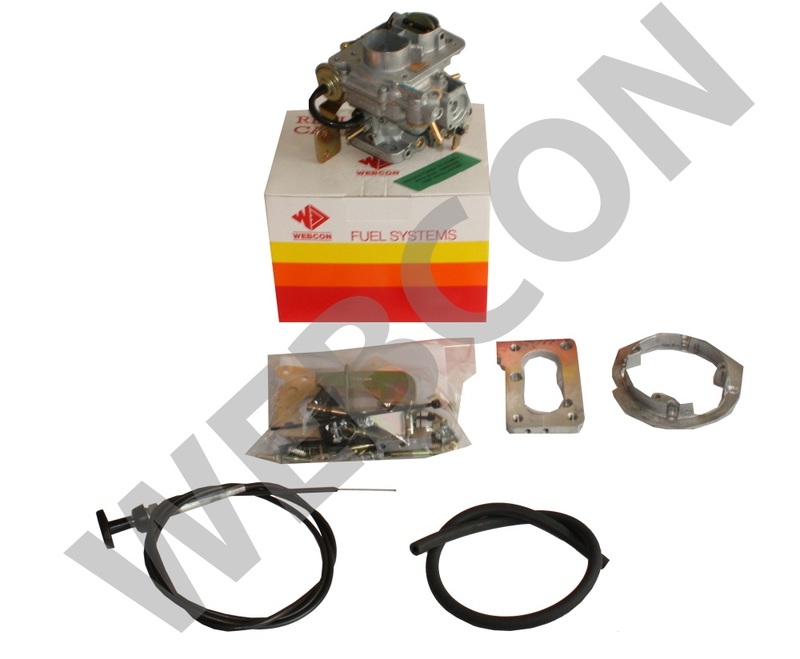 Featuring a genuine Spanish Weber carburettor, the Webcon kit is designed to fit the original manifold and air filters (unless a new air filter is included), using specially designed adaptors. All kits include every single nut, bult, washer and gasket needed to do the job, and all are supplied fully jetted for the engine. No additional tuning will be required. Comprehensive fitting instructions, and no specialist carburettor knowledge is required to fit this kit. If you can carry out basis home DIY maintenance on your car, then you will be able to fit a Webcon replacement carburettor kit. All kits have been designed, jetted and tested in Webcon's own Sunbury facility. The Webcon replacement range of carburettor kits is the Worlds largest and best engineered range. We have been developing the range in the same facility, using the same engineers since 1978 and every kit that we produce is designed to return your car to factory levels of performance, and in many cases, better the original economy figures. Hot and cold starting, and general driveability will be greatly improved, and the fitment of a genuine Webcon replacement carburettor kit is generally understood to enhance the value of your car.